Blackham Resources (ASX:BLK) says high-grade drilling results at its Matilda Gold Project will be folded into a definitive feasibility study of the project due back sooner rather than later. 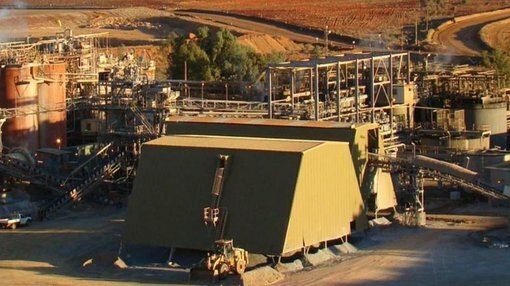 The ASX-listed gold play told investors today that it had drilled 26 RC holes into the Galaxy deposit at the project, one of the deposits flagged to provide initial feed for its planned Wiluna Gold Plant, at this stage due for start-up in the second quarter of next year. The intercepts included hits of: 12m @ 4.57 grams per tonne from 83m; 10m @ 4.52g/t from 82m and; 10m @ 2.54 g/t from 82m among others. It also completed three diamond holes for 188.5m, with hits including 10m @ 4.52g/t from 82m, 5m @ 6.63g/t from 18.5m. These results did not inform a recent pre-feasibilty study, and will be folded into a DFS due soon. According to its gold resource statement, the Galaxy deposit has an average grade of 2.9 g/t over its indicated and inferred resources. Better yet, the location of the holes meant Blackham was able to firm up targets outside of the Galaxy pit design included in the PFS. “Blackham’s recent Pre-Feasibility Study confirmed the economics of the Galaxy deposit as a high grade shallow deposit suitable for open pit mining with good metallurgicval recoveries,” BLK managing director Bryan Dixon said. In other BLK news, it also confirmed it was finalising plans to drill into the Caledonia pit for the first time in an effort to firm up longer-timeframe resources for the Wiluna plant. Shares in BLK were up slightly in mid-day trading, up 2.2% to 23c. Want to know more about BLK?